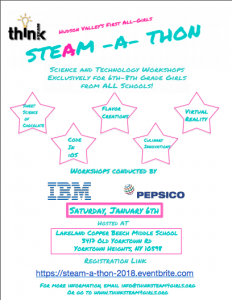 The STEAM-A-THON is our First All-Girls Event hosted at Lakeland Copper Beech Middle School in Yorktown Heights, NY on January 6th for 75 middle school girls from all schools in the Tri-State area! 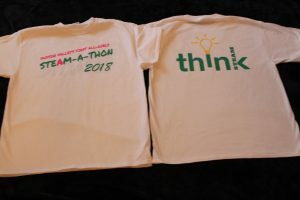 The STEAM-A-THON is an event sponsored by the HERlead Grant from the partnership between ANN INC and Vital Voices. 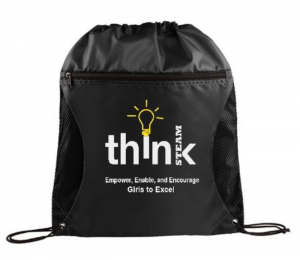 Throughout the STEAM-A-THON, girls will be rotating through various workshops and learning the basics of several STEAM concepts. Here are some of the workshops we will be holding! We will be providing free lunch, t-shirts, and SWAG!! 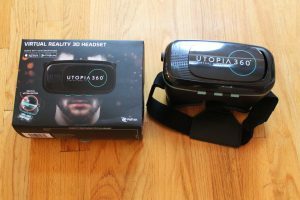 Update: T-Shirts, Knapsacks, Laptop Stickers, and Virtual Reality Gear are in!! !